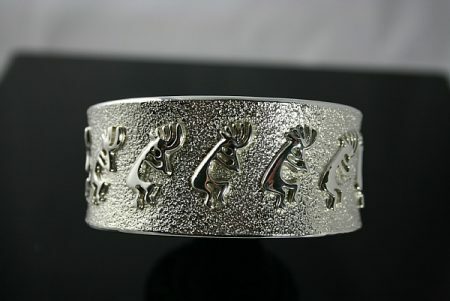 This striking bracelet by Terry Martinez is hand rolled out of sterling silver ingot and deeply stamped with home made tools. 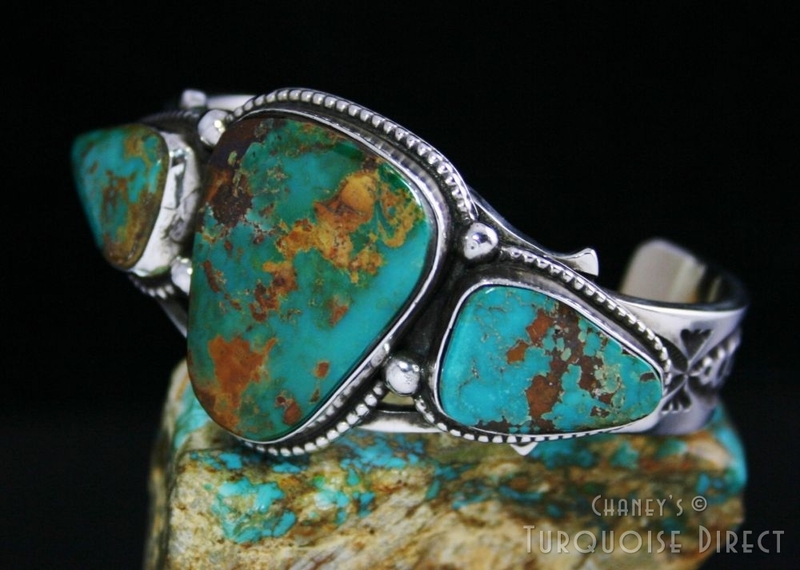 Tapered and thick, the elegant bracelet shank is topped with three outstanding large natural Pilot Mountain turquoise gems. The cabochons exhibit wonderful depth with hues of both deep blue and green with dynamic gold and chocolate brown matrix. 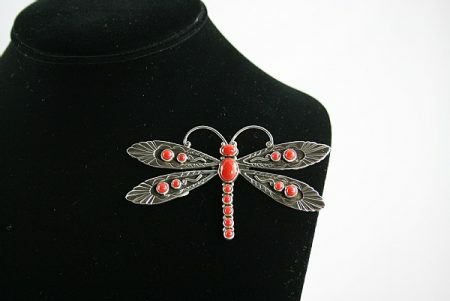 They are surrounded with a beautiful layer of petite droplets with large hand made beads in between. 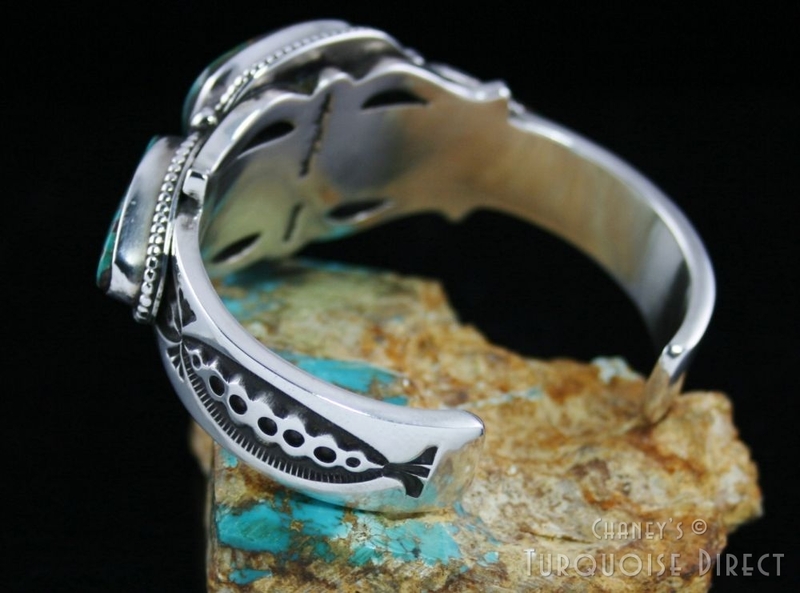 This gorgeous one of a kind piece hand fabricated by award winning Hopi artist Chalmers Day features elegant detail in sterling silver. 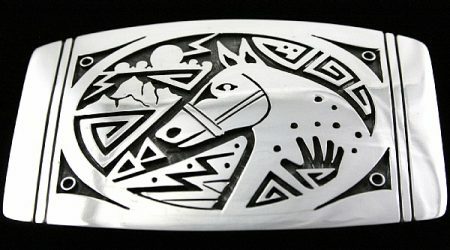 The design of the piece includes a beautiful sacred horse with a hand for healing on the body, several wind symbols, and a mountain scene in the background. Storm clouds with lightning are portrayed in the upper left hand corner of the piece and the artist made a very unique circular design outlining the portrait of the animal with stunning oxidation used to bring out the image making it very eye catching. 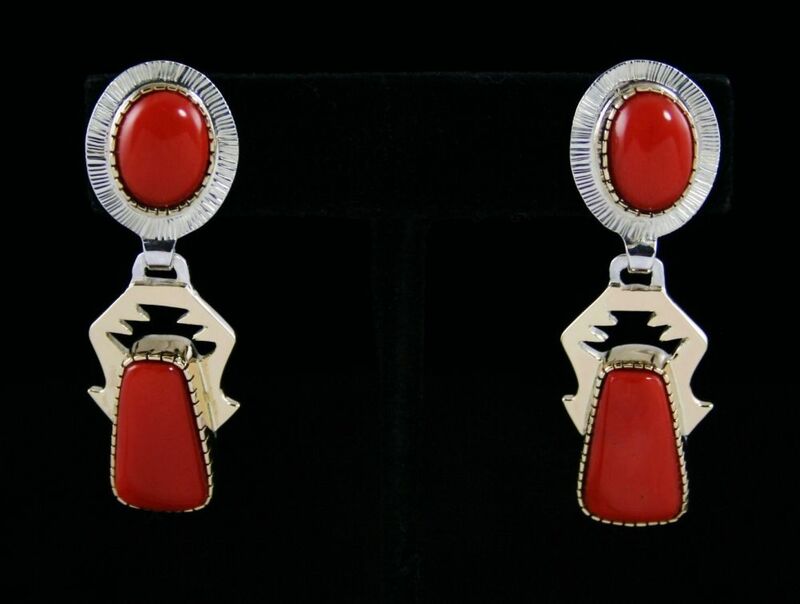 This piece was created by award winning Jemez Pueblo artist, Victor Vigil. 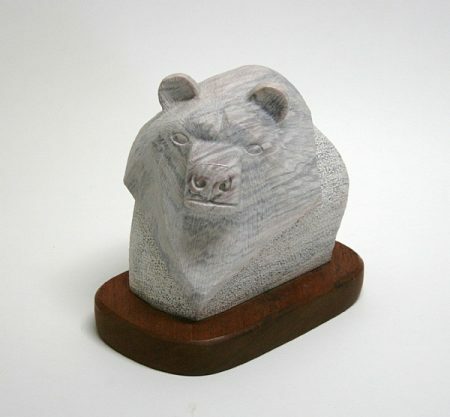 The item is a magnificent Colorado alabaster bear sculpture, with fine detail and exceptional design. 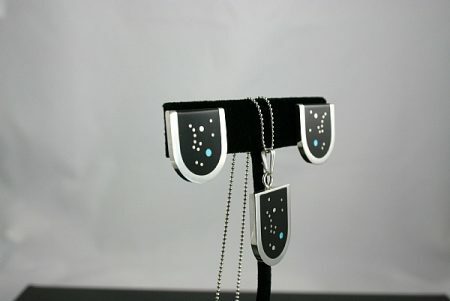 This piece is of a smaller size ideal for any space. 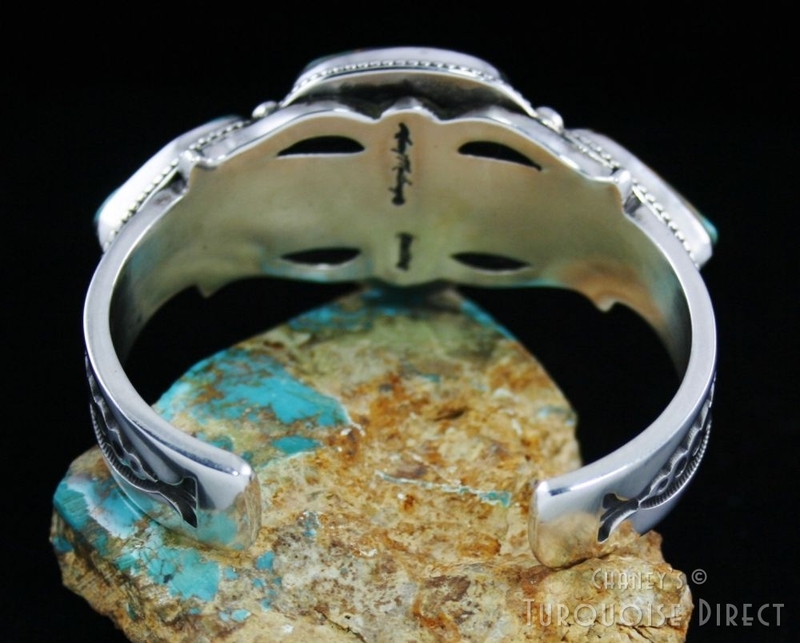 This stunning piece was created by Navajo artist Victor Hicks. 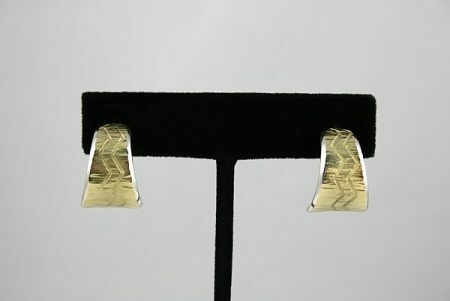 The item features beautiful design in solid 14k gold over sterling silver. The artist included intricate detail with crescent shape stamps used both as a border and as an accent to the gold. 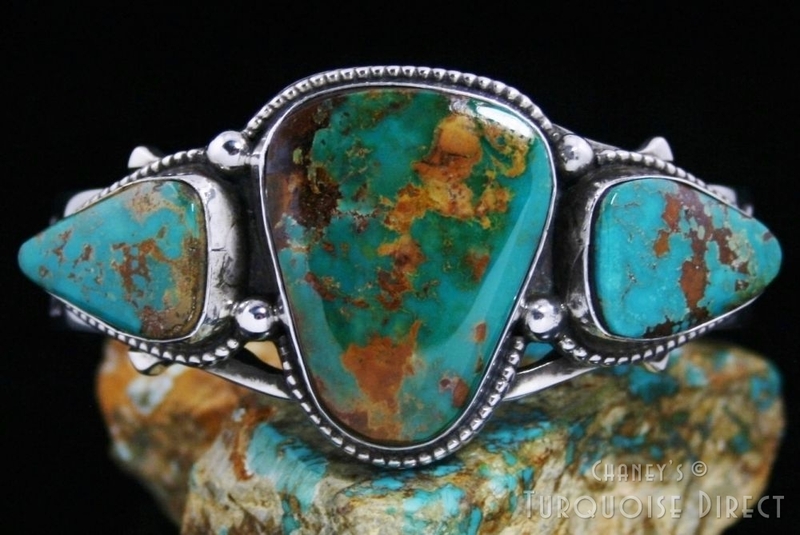 Oxidation is also portrayed in this wonderful piece which makes it very eye catching. 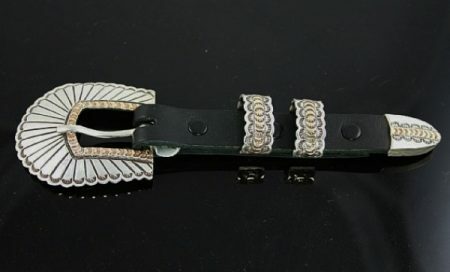 We also work with a custom leather belt specialist making it very easy to acquire a leather belt for the item with the size, material, and length requested. 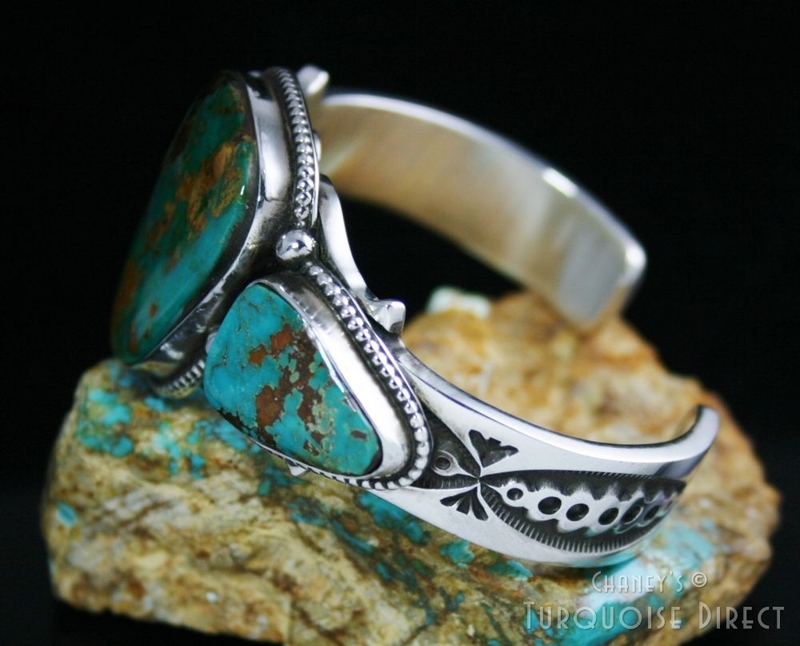 Smooth and slender this amazing piece created by award winning Navajo artist Charlie John features a stunning high quality Easter Blue Turquoise stone. 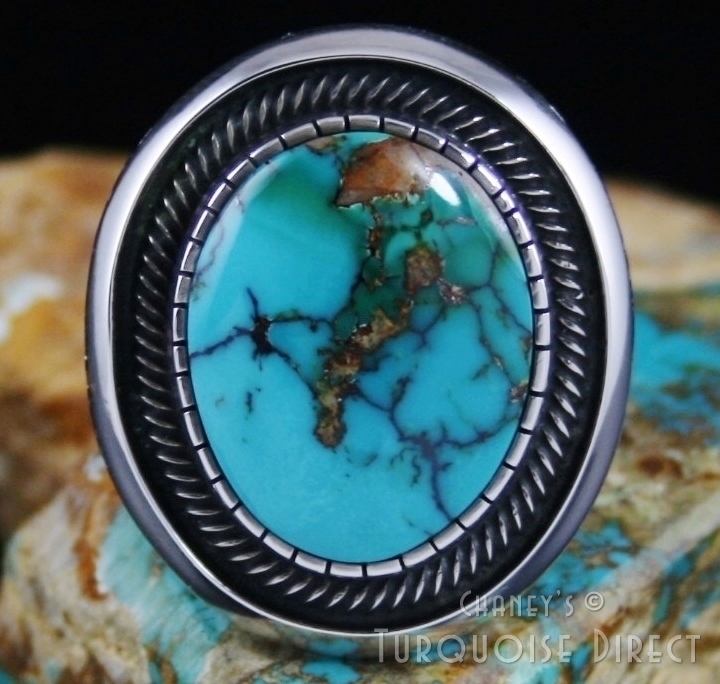 The cabochon is a gorgeous light blue with hues of light green surrounding the stunning orange and tan matrix lines. 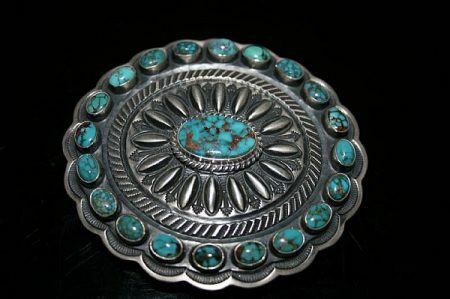 The item features a dome shape on the inside of the piece leaving room for the skin to breathe, as well as fine contemporary detail on the exterior of the item making it very pleasing to the eye. 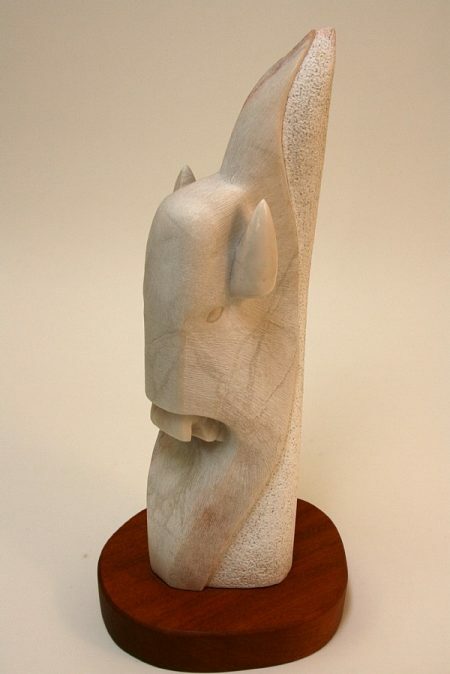 This amazing piece hand made by award winning Jemez Pueblo artist, Victor Vigil, was created using incredibly beautiful Italian Marble. 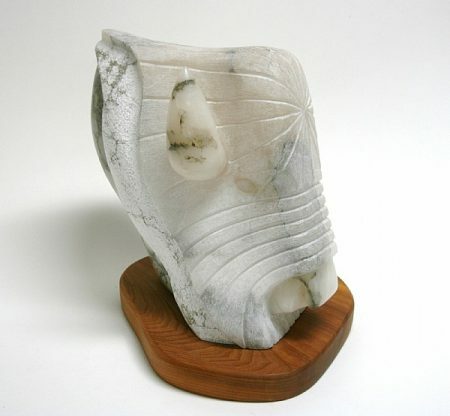 The piece features a spectacular white buffalo with exquisite detail and a wonderful unique shape. 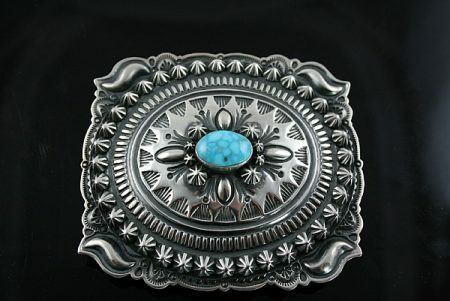 This piece was also featured at the Santa Fe Indian Market and the artist considers it to be among some of his finest work. 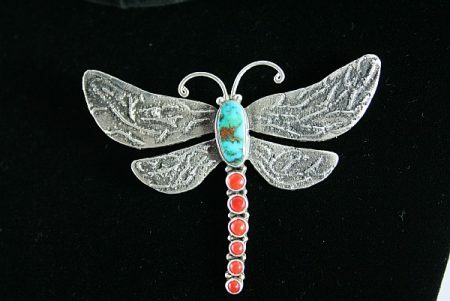 This fantastic piece created by Navajo artist Lee Charley features an amazing Tufa cast dragonfly with a beautiful Royston turquoise stone and six stunning gem grade Meditteranean coral cabochons all set to outline the body of this stunning creature. 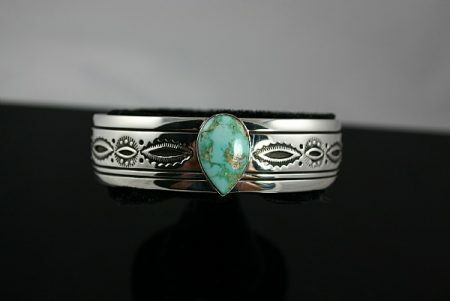 This gorgeous piece created by award winning Navajo artist Gilbert J.R. Tolino features a stunning high grade Royston turquoise cabochon. 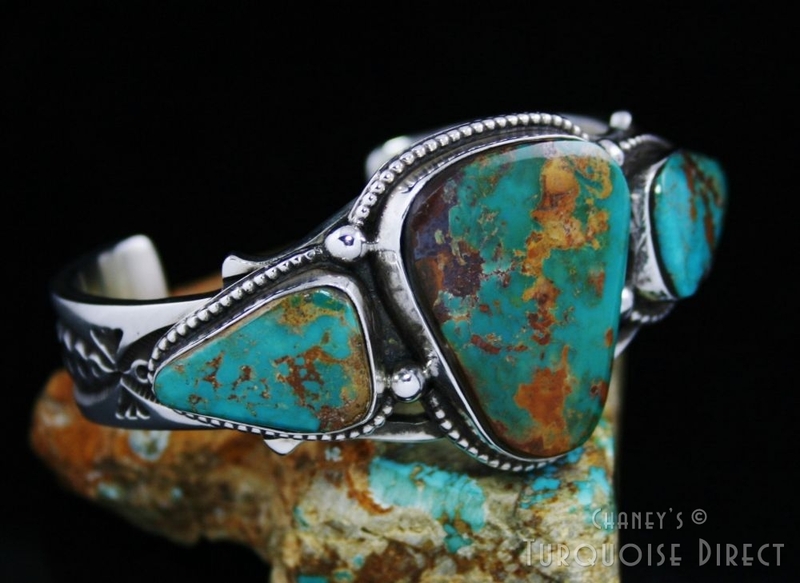 The stone is a beautiful deep green-blue with reddish-brown matrix and is set flush with the sterling silver with a shadowbox effect around the stone. 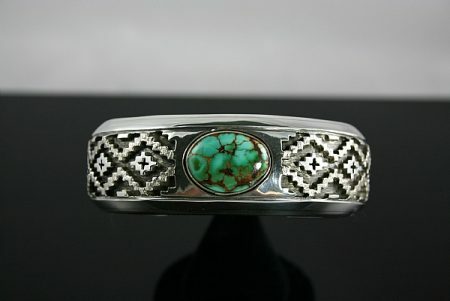 The artist used very deep stamp work with a traditional Navajo rug pattern design. This incredible piece created by award winning Jemez Pueblo artist, Victor Vigil features a gorgeous white buffalo with exceptional detail. 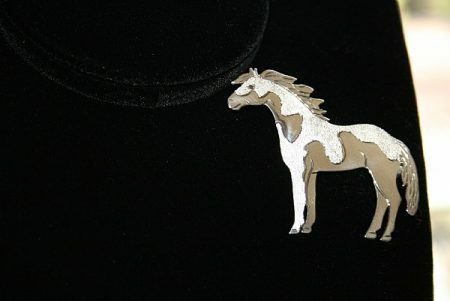 The piece was created using beautiful Colorado alabaster and is hand etched. 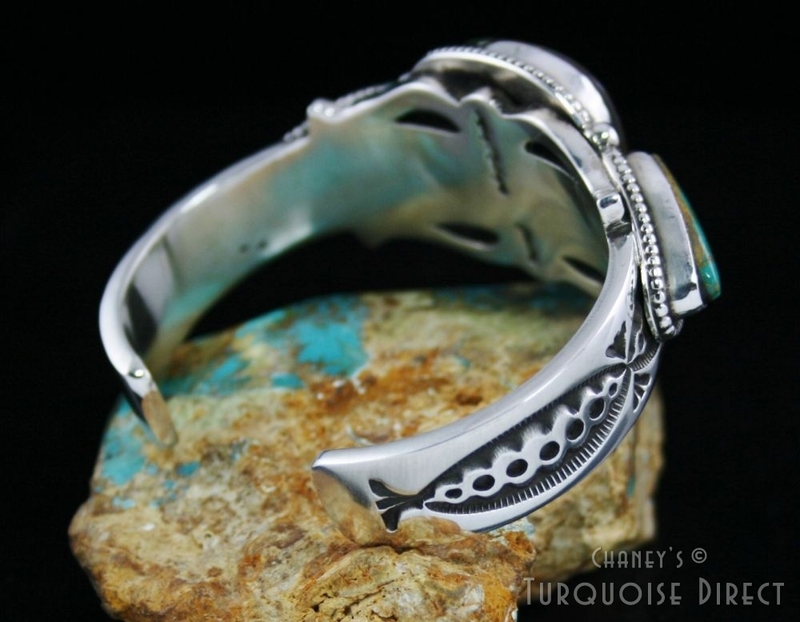 This beautiful piece created by Navajo artist Lee Charley features an incredibly gorgeous horse design with intricate detail used to outline the stunning features of this fabulous creature. 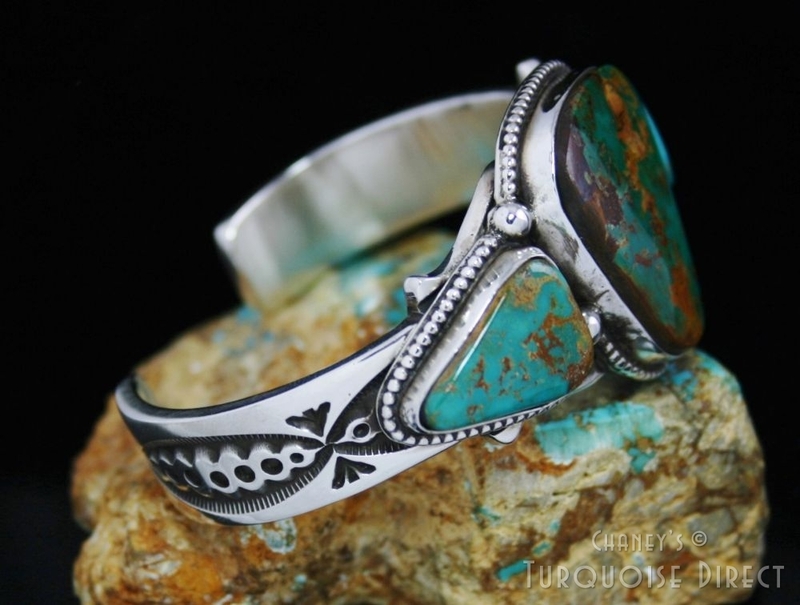 This incredibly beautiful piece created by Navajo artist Derrick Gordon features a gorgeous Turquoise Mountain turquoise stone and equally stunning detailed traditional silverwork.